It’s been two years since I’ve last seen Blitzkrieg 3, and back then the game was still heavily in development and felt a bit bare boned. While it did intrigue me, mainly because of the second World War setting, I wasn’t all too enthusiastic about it either. The game lacked purpose and content, felt really hollow and was far from finished. But now the game has finally reached release and I was curious to find out if they had sharpened this diamond in the rough. Back when I played Blitzkrieg 3 for the first time, the game wasn’t all too interesting yet. They were still working on the pillars of the game, tweaking the gameplay, and making it an interesting experience. The actual depth of the game at the time was still a bit shortcoming. 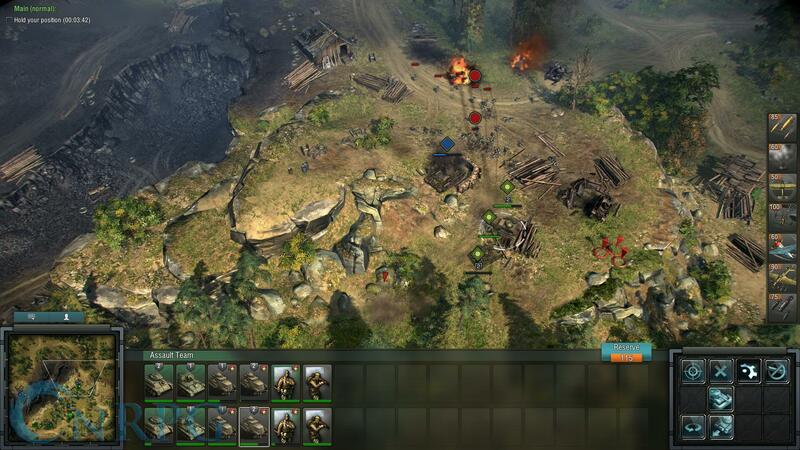 In the last year they have especially worked more towards creating an accurate representation in a strategy game, allowing players to jump into the main factions during the war, and replay historical events that took place on both sides of the war. When you start playing now, you can choose where to begin your story, your ‘introduction’ to the war. While I live in the beautiful small country of the Netherlands, I know all about the war and the fights that took place around here. I know the Canadians and Americans played a huge role in saving our small little country, but I never really knew a whole lot about what happened to the east of Germany. So I decided to start with the Soviet Union to begin this experience. The story starts at the Russian Border, where the Germans are attacking and trying their luck at pushing east. The game itself isn’t a super accurate presentation of how the wars are fought, but they do try to be historically accurate in the missions that they offer. It starts you off into a few small tutorial missions to get your bearing and to figure out how exactly this game works. 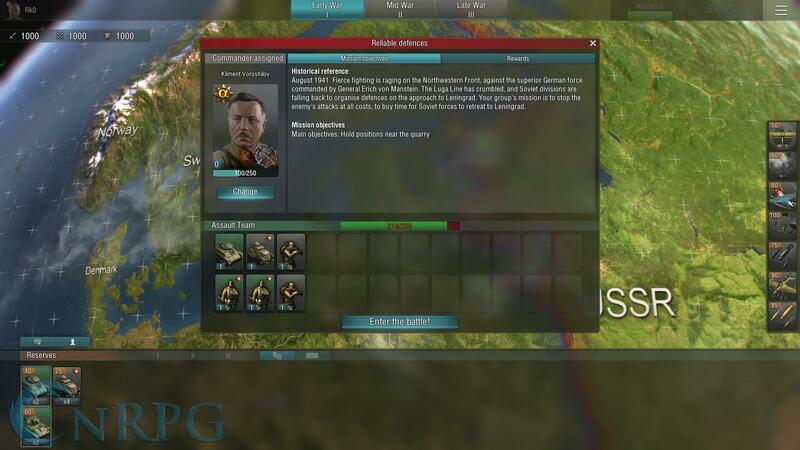 In Blitzkrieg 3 you have different units, and while you do get a bunch of pre-selected units for these tutorial missions, in the normal missions you can choose who and what you want to take into battle with you. So you can really make your own strategy when it comes to taking these missions on. Each unit, be it either infantry or armored vehicle, have their own value of points. In each of these missions you have a select amount of ‘points’ you can take with you. 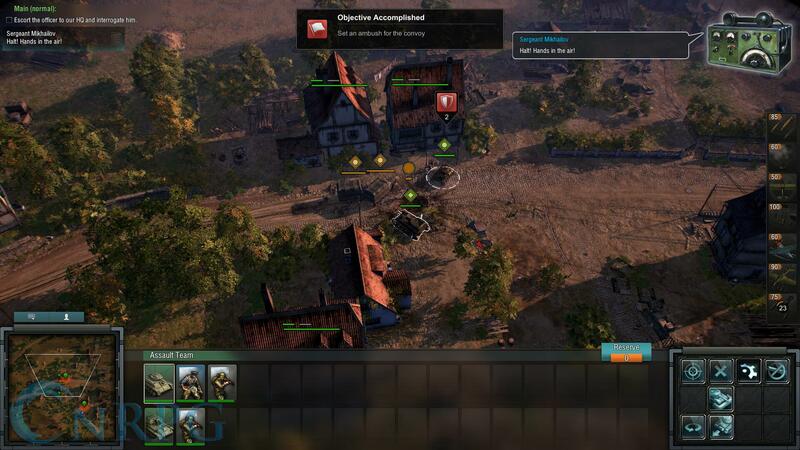 This means you cannot take your whole army of units and vehicles into battle, you have to choose and play around with point values to get the best optimal army for that specific mission. You can always see what kind of mission you’re taking on and what the objective is, so try building a strategy around that. Obviously the objectives in the mission are of the utmost importance, and sometimes you do get extra objectives that you can attempt to complete. On every map there is usually a town or some general area that you have to attack and defend. Scattered around are artillery that can be used, or buildings that you can hunker down in and defend your ground. Armor has its own role, and with the armored vehicle you really have to play around with their strength. Since some armored vehicles are only strong against infantry, you obviously don’t want them anywhere near enemy artillery or anti tank vehicles because they’ll become a big cloud of smoke in no time. Infantry also is very vulnerable on the move and bunched up, so once you get into enemy contact, you really have to micro manage a ton to keep minimal casualties. If your army does get struck by a big ball of fire and vaporizes in front of you, you can always call in the reserves – if you have gained enough points to call them in. 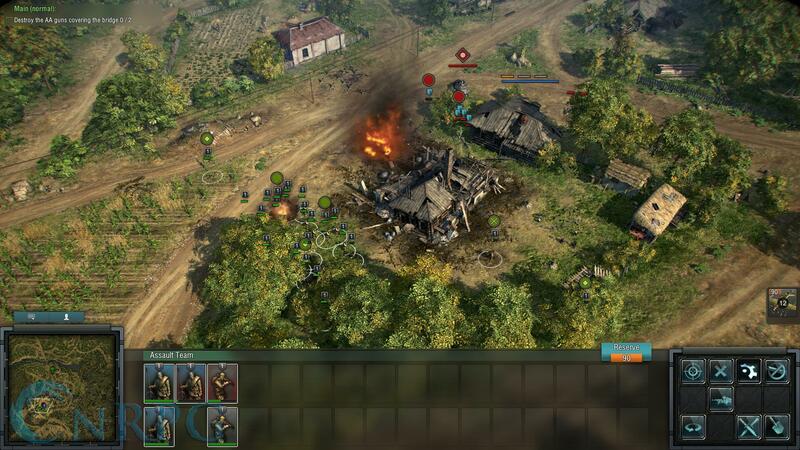 Generally you want to take the mission or skirmish rather slow so you don’t waste your reserves in a single moment. While the missions are extremely fun and challenging, they do tend to get a bit generic over time, especially since the missions aren’t super difficult if you use your units efficiently. Besides your units you get extra ‘abilities’ that you can use over time. Like planes doing an artillery run, or some heavy bombing to take down enemy armor, or even a cloud of smoke to hinder them. But this is where the Skirmish comes into play. With the Skirmish mode you can battle against other players, and you can take a few more units with you into battle to keep it interesting. In the skirmish mode you usually have to capture a few locations, while your opponent obviously has the same missions. The more capture points you have, the more points you get per tick. Once a player gets to the required amount of points, he wins the game. It’s all very simple to figure out in one try, but a heck of a lot of fun when played against others. Compared to two years ago when I was all but positive about Blitzkrieg 3, I really think a lot of good things have happened. Where I was previously incredibly bored and thought the game was very generic, I am now really positive of how the game shaped up to be. 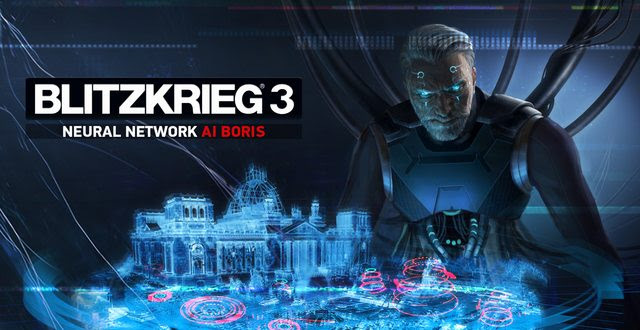 Blitzkrieg 3 is a really interesting game to play, both for the historical events you get to replay in its own little style, and the gameplay itself is just incredibly fun. While the game can be a little boring if you play it a few hours a day, I did really enjoy just playing it casually on the side, playing maybe an hour a day to keep it interesting. 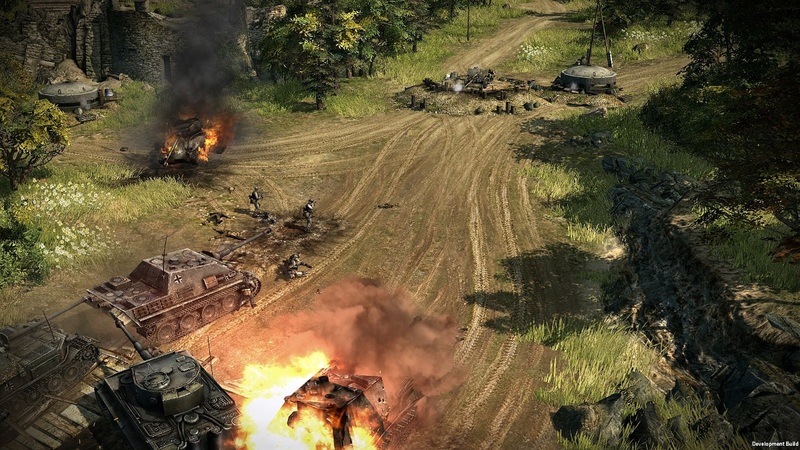 I do think Blitzkrieg 3 is a game you can really quickly burn yourself out with, mainly because it does feel like every mission always comes down to pretty much the same thing, despite having an unique objective or area to it. 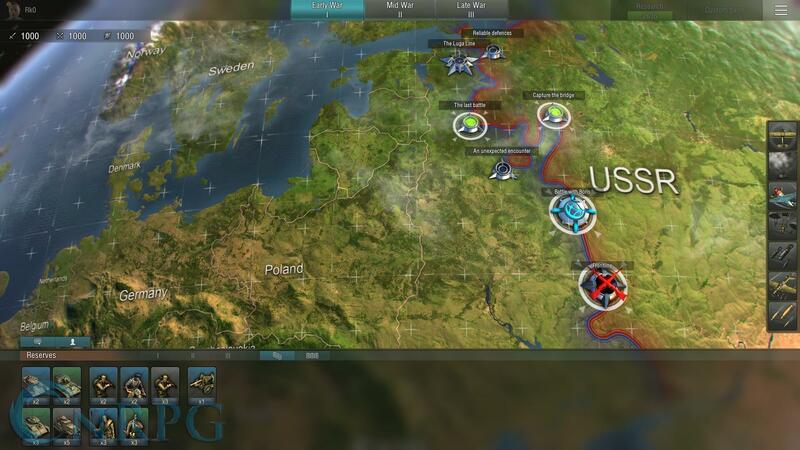 While the price can scare people off, I do think that the game is worth a try for everyone who is a fan of the World War II theme and loves the strategy game genre.